Attorney Ron Lawrence focuses his practice on trials and civil litigation. Ron has successfully handled over a thousand personal injury and worker’s compensation cases, and hundreds of Social Security cases. Ron has lived in eastern North Carolina since high school. He attended the School of Design at North Carolina State University before transferring to the University of North Carolina at Wilmington. At UNC-Wilmington, Ron was the captain of the tennis team and an All-Colonial Athletic Association Scholar-Athlete. Ron earned his Bachelor of Arts in Political Science from the University of North Carolina at Wilmington in 1988. Then, he attended the Norman Adrian Wiggins School of Law at Campbell University. At Campbell, he earned his juris doctor in 1995, and was admitted to practice law that summer. He is admitted to practice in all trial and appellate courts of North Carolina and the Federal Court for the Eastern District of North Carolina. Ron has served on the Board of Directors for the Wayne County Boys and Girls Club for more than 15 years. 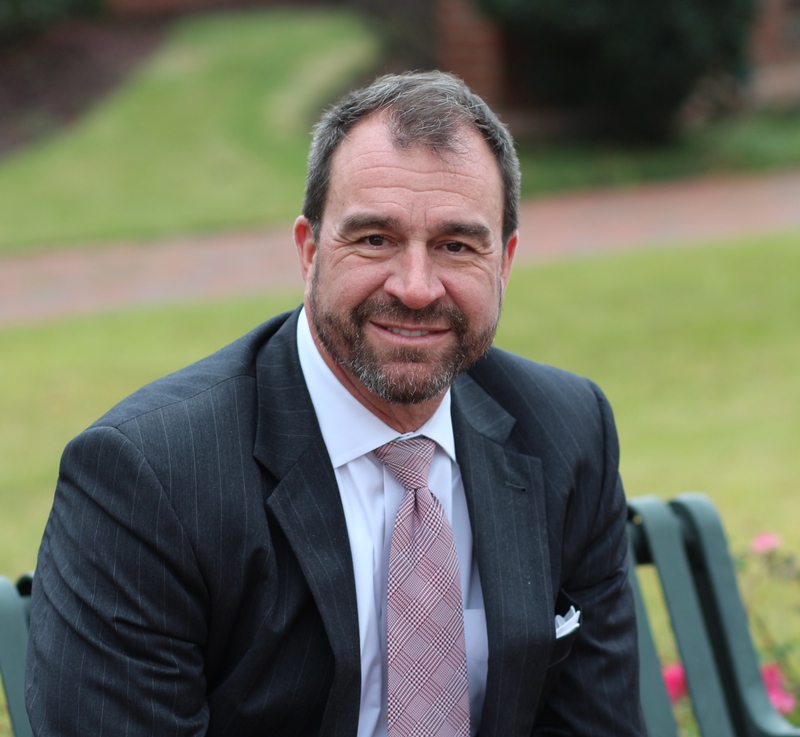 He has previously served on the Board for the Downtown Goldsboro Development Commission as well as the Board for the Wayne County Partnership for Children. In addition, he is a former member of the Exchange Club of Goldsboro and served as its President for two terms. The Exchange Club of Goldsboro is a civic organization which concentrates its efforts on supporting children and women’s programs in the community, such as the Boy Scouts, the Girl Scouts, and 4-H Clubs. Ron Lawrence and his wife Heather reside here in Wayne County, and he is the proud father of two children.